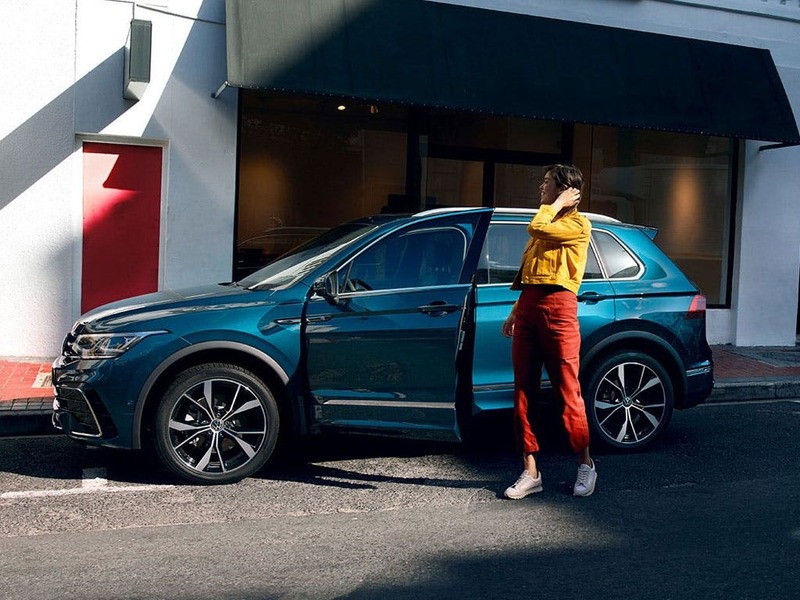 Connected and practical, the all-new VW Tiguan is a functional SUV with all of the expected modern day amenities. 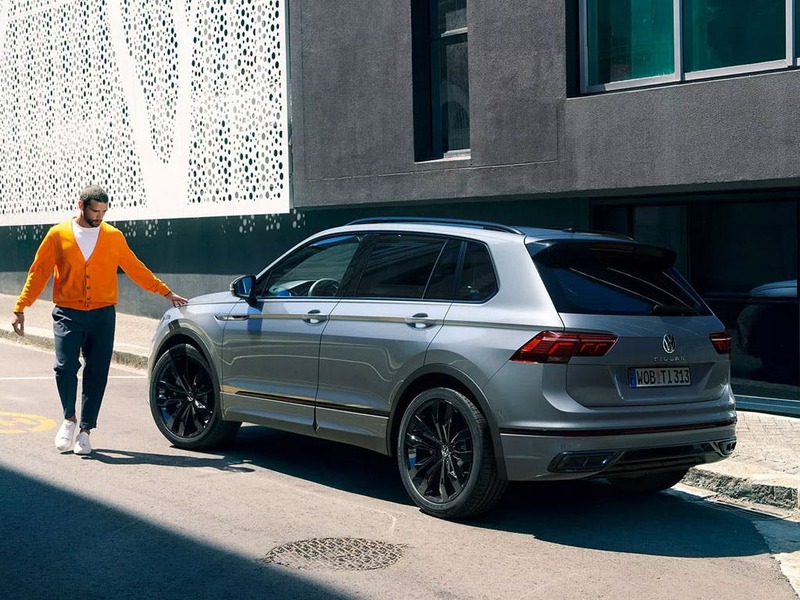 The most powerful engine available with the new Tiguan uses 236bhp to hit a top speed of 142mph, showing that the powerful performance of this machine matches the stylish design and high-end features. Discover all the latest Volkswagen Tiguan offers currently available. Every detail matters, view the Volkswagen Tiguan technical specification. Download the latest Tiguan brochure. 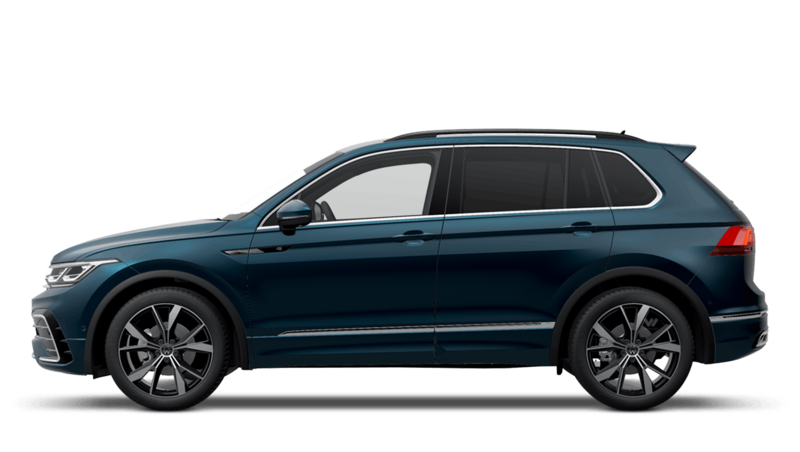 Lower and longer than ever before, the new VW Tiguan features clean cut lines and a powerful stance. The bonnet features double contours on each side that curve down to meet the edges of the wide grille. The headlights are angled to join with the grille, creating a strong single block. The lower bumper makes a strong impression whilst high wheel arches remind you that this is a utility vehicle. 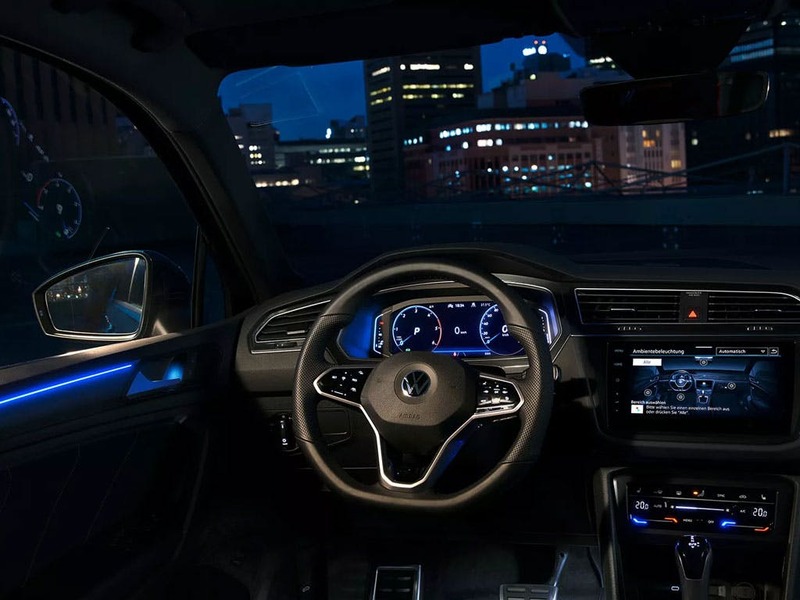 Ergonomically designed to enhance the comfort of all inside, the interior of the new VW Tiguan gives everyone a clear and elevated view of the road. 40:20:40 split seats increase the already large boot space to a capacity of 1,655. 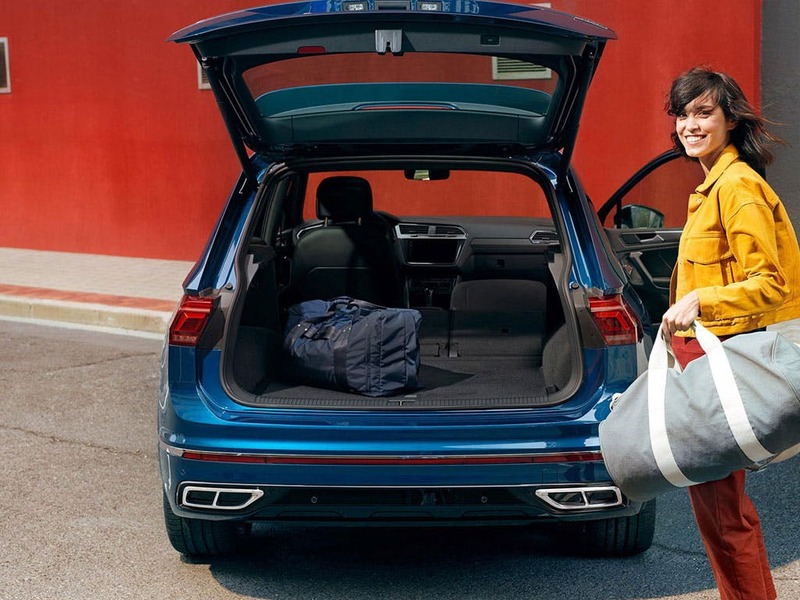 The seats fold flat, letting you pile your luggage in with ease. This model features more than enough head and legroom for all inside, making for a truly comfortable driving experience. The Composition Media player is the standard system, letting you listen to music through the radio, a CD player or your smartphone, whilst the optional Dynaudio Excite sound system enhances your listening experience. The optional Head-up Display extends into the driver’s view behind the dash to show speed, directions and traffic information. 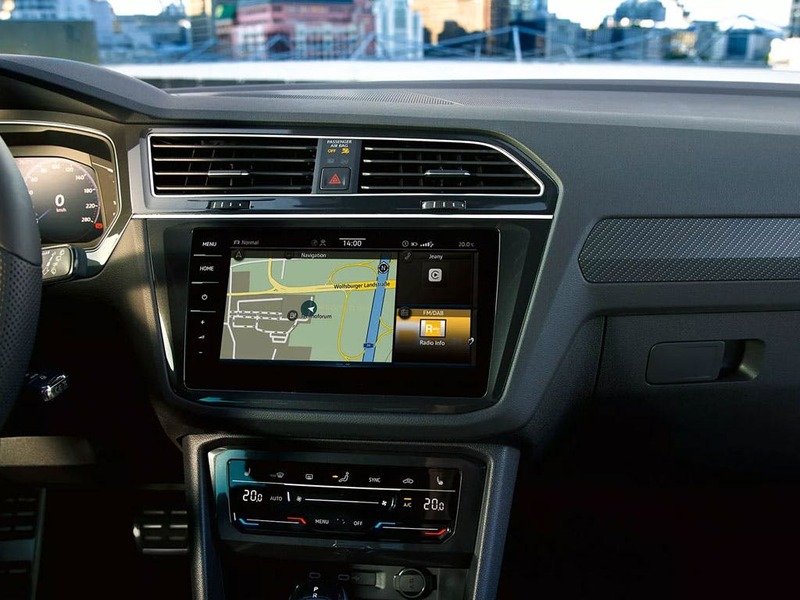 Various VW apps work to connect your phone and your car, including Shared Audio and My Guide, giving you info such as parking availability. 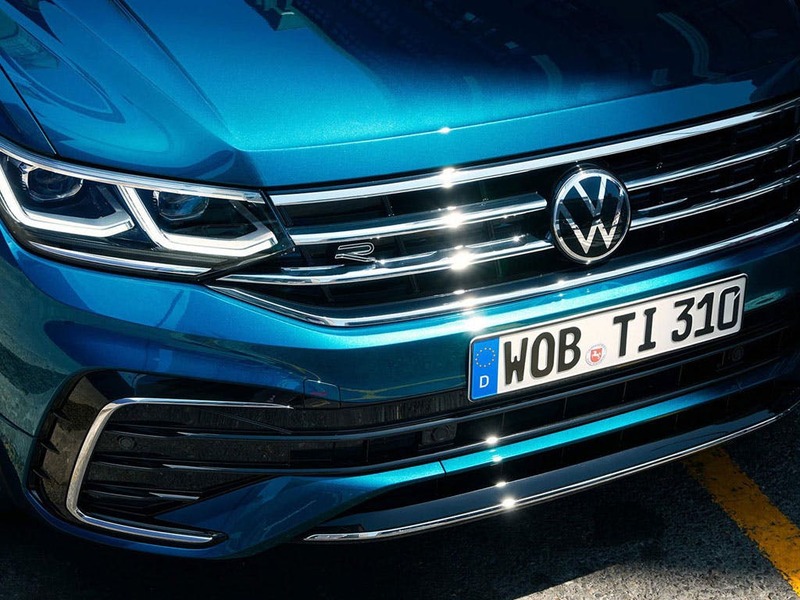 A range of refined engines come with the new VW Tiguan. The most powerful option is the 2.0-litre BiTDI auto diesel engine with a top speed of 127mph. Backed up by 236bhp this model sprints from 0-62mph in only 6.5 seconds, a powerful performance for an SUV. For a more economical choice, the 2.0-litre TDI petrol engine with 147bhp on the ‘S’ model VW Tiguan’s mpg is 60.1. 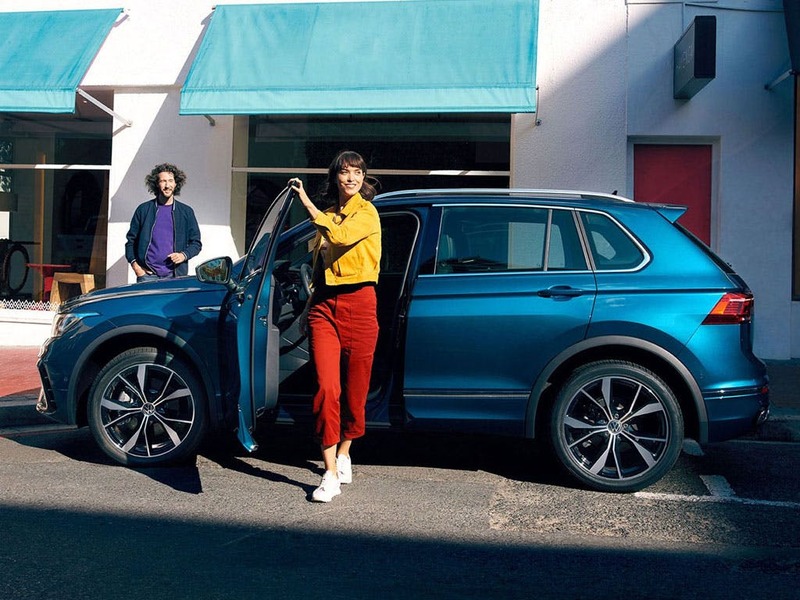 Experience driving the powerful and convenient new VW Tiguan for yourself by booking a test drive at your local Volkswagen dealership in Kent. 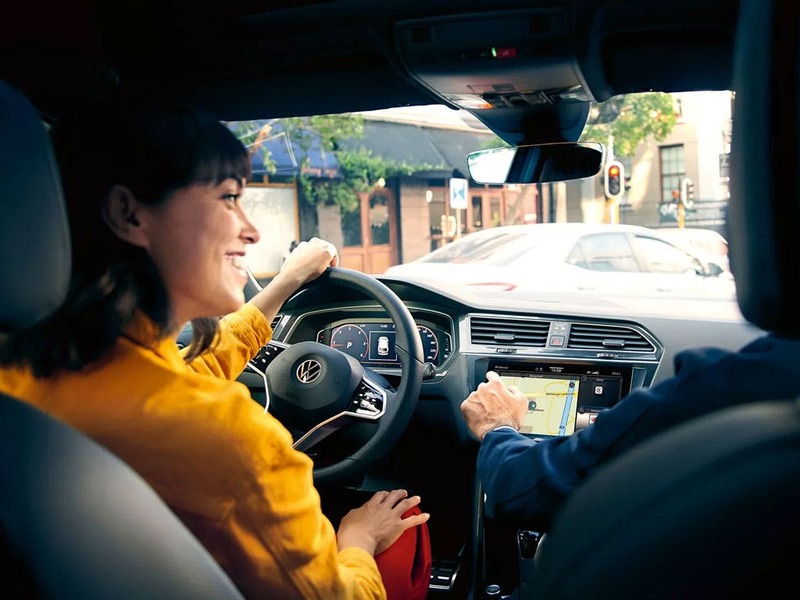 If you’re looking for more information or want to discuss the best purchasing options available for you, visit your local VW showroom or call us to speak to a friendly member of the Beadles Volkswagen team who will be on hand to help answer your enquiries. of customers that bought an Volkswagen Tiguan would recommend to their friends and family. I'd recommend Beadles Volkswagen Maidstone to a friend because the professionalism and pressure free attitude of all the staff especially the sales executive Lucie and the manager Jamie they were especially helpful and listened to what I would like. Beadles Volkswagen Maidstone were really helpful and I'd recommend them because they were friendly and efficient. My experience at Beadles Volkswagen Sevenoaks was memorable because Chris Hay communicated effectively with me. Beadles Volkswagen Maidstone were helpful because Graeme was very friendly and helpful. Explained everything to me And was very patient and friendly towards my baby whilst placing my order. My experience at Beadles Volkswagen Sevenoaks was cracking because of helpful and professional attitude of the staff, but particularly the sales person that dealt with my query from start to finish (Chris). I would be delighted to recommend Beadles of Sevenoaks to anyone. Very well organised and trained. Car was like new.